Stockholm based duo ManyFew state that “We love producing tracks that make you wanna dance, that’s what it’s all about for us, put people in a good mood”, and you’ll definitely be put in a good mood after taking a listen to their latest song. Titled “Closer Love”, the track features Twiggy and was released last month on AWAL/Kobalt. Brothers Jacob and Victor Andersson team up with Lauren Twigg for an upbeat piano house tune with energetic chords and vibrant vocals from the British singer. The Swedish duo have their own monthly radio show Electronic Heaven where they shared the track for the first time on March 1. Read on for an interview with ManyFew as they discuss their relationship as brothers, working with Twiggy, and their plans for the summer! What’s up ManyFew! Thanks for answering some questions about yourselves and your new track “Closer Love”. For those who are hearing about you for the first time, describe your sound in three words. Hey, all good thanks! Just back from Miami Music Week. We’d describe it as uplifting, feel-good, and danceable. Are there any challenges to being brothers and being part of a duo? Any positives that other non-related groups might not have? Well, since we are brothers we know each other so well and that is a big plus, but of course sometimes we have different views of things, which can be useful as well. Also we share the same taste of music and that makes it easier when we produce. We tend to make the same type of decisions in the studio, most of the time we like the same type of sounds, drums, and melodies etc. We are also best friends and that makes our music journey so fun. You’ve featured Twiggy on a number songs of yours in the past. How did you first get in touch with her and decide to work with her? The first time we met Twiggy was at a networking event in London in 2016. We talked for a while and exchanged business contacts. Only a few days after our meeting we sent her some tracks and we started working together. We have such a great workflow when we are in the studio and we are sharing the same type of music taste, which makes things pretty effortless! What is it like hearing that big name artists such as Oliver Heldens, Don Diablo, Cedric Gervais, and Bingo Players support your tracks? Being accepted by DJs we are big fans of is definitely an amazing feeling, as it shows we are producing songs people like, which we really appreciate and we feel honoured! First time was surreal and it will always feel wonderful to get that type of support. Any plans you can share as we head into the summer festival season? New music is coming; next release is in mid-April a VIP Mix of our latest release ‘Closer Love’. Also we have some other releases coming up later this spring/summer and our monthly radio show ‘Electronic Heaven’ broadcasted worldwide on iTunes and Google Podcasts. We have just signed to a new booking agent based in the UK and are going to perform at different locations this summer. For latest news keep an eye out on our social media. Favorite Song of 2018: Oh that’s a hard one. We have so many favorites from 2018 but one top track is definitely “Silk City – Only Can Get Better (feat. Daniel Merriweather)“. Best track to play at peak time: “Fisher – Losing It“, it’s still one of those tracks that works brilliantly at peak time. 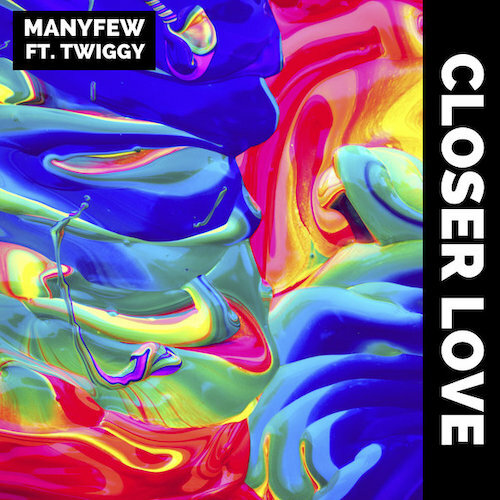 Be sure to check out “Closer Love” by ManyFew featuring Twiggy below!